What is your favorite part about Ledgestone? McBeth: The Discraft Ledgestone Insurance Open has turned itself into a must attend event. The event has everything you could ask for from a great challenging course, a large payout, a community around the event excited for us to be there and a charity aspect that few events even offer. You have had your highs (winning in 2016) and your struggles at Ledgestone (2018). What makes the biggest difference for how well you compete at Eureka? 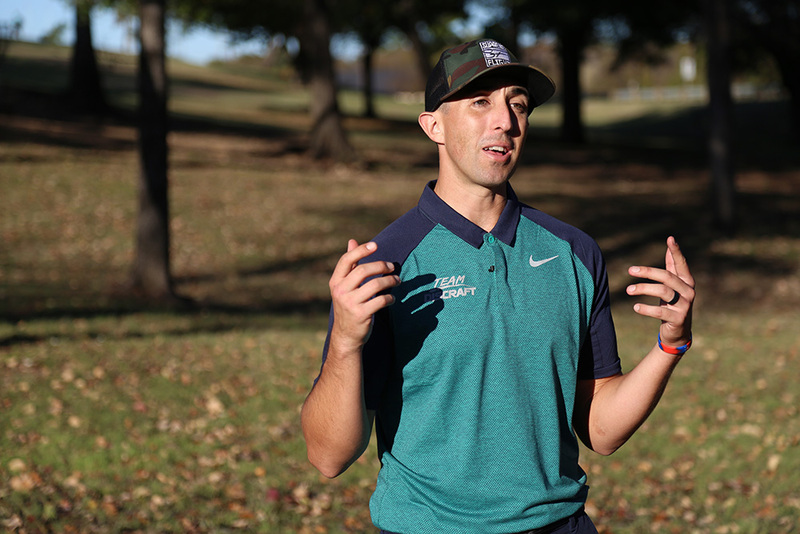 McBeth: Staying focused, Nate and his crew design their course not only to punish poor shots but to pick on the players with weak or breakable mindsets. I have been able to conquer both aspects in the past but I’ve also fallen victim to the traps they have set. 2019 and beyond I will be ready for the challenges. What's your favorite hole at Eureka? McBeth: Hole 14. You need a well executed tee shot simply to have a 400ft approach to the green with water on the right the whole way. It’s a very challenging hole with the beauty of Lake Eureka present the whole time. What's your least favorite hole at Eureka? McBeth: 17, the concept is great but every year something fluky happens with it which makes the hole fall short of its potential in my opinion. Will Ledgestone mean more now that you are sponsored by Discraft? McBeth: Every win will mean more because so many doubts and doubters are out there but proving I can play well with Discraft and even outperform my previous season will be even sweeter. I will enjoy the perks of being a part of team Discraft at their events though! You will be in Central Illinois twice this summer. Is that good or bad for disc golf? McBeth: If a city or town welcomes us as players and they can put on a great event with courses that challenge us it’s always a good thing to come back! You will get to play Northwood Gold for Worlds this summer. Have you heard anything about that course? McBeth: I heard it’s HARD! I’m excited to get out there to see the changes. This puts us in an element we haven’t seen in Peoria for a few years. Are there any new discs in the bag that will help you better attack Lake Eureka? How has Ledgestone improved since you first came to the event? McBeth: Like I said earlier, the course, money, crew, charity contribution and city presence all make this event special. Do you have a favorite restaurant in the Peoria Area? McBeth: Wow that’s tough, each year we find new places. Last year we ate at Kep’s and that is my current favorite. I’d love to hear more recommendations though! There you have it folks! That is some great insight into the mind of one of the best players in the world. See you in June!